Model: Intuos 4. Manufacturer: Wacom. Electronics Cafe specializes in used electronics. max-width: auto; }. Local pickup is always an option. By purchasing this product you confirm that it will be used for it’s originally intended purpose. Tablet Only. Refurbishing Process. Network Switches. Give us a call! Bulk Orders. Bamboo Wacom Splash Pen Tablet - Barely Used. (Manufacturer part number: CTL-6100WL/K0. Product weight: 771 g. Except for Windows 10 S), since the [Mac] OS X 10.11. 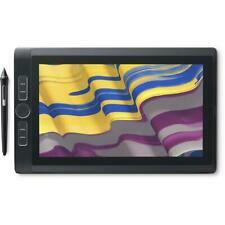 Brand new, never used, black leather pen and paper digital drawing tablet. Everything you draw in the real paper is transferred electronically for editing or sharing. Super cool just not enough time for art anymore. Wacom STU530 Color LCD Signature Tablet. STU530 Color LCD Signature Tablet. Wacom STU530 Specs Cordless and battery-free Wacom pen. The 1024 levels of pressure sensitivity allow a natural signature capturing. A graphics tablet designed entirely around your passion, the Wacom Intuos gives you all the tools you need to enhance your creativity. The first thing you’ll experience when using Wacom Intuos is how natural it feels. Touch tested. Pen is not be included. Wacom CTH-470 White with original accessories. If you are in other locations, you will need a plug adapter compatible to your power point. The display language is set to English. No exceptions. Color: Black. 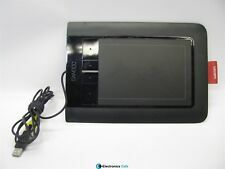 Black Wacom Intuos Small PTK-440 Intuos Pen Tablet. G500 1KA000532RC. Phone Body & Screen Protectors. Certain phones will require a sim card or an existing smartphone data plan. Graphing Calculators. This handy Smartpad dedicated to the creative pros makes it easy to transfer the paper sketches to a creation software, automatically, from the paper creation. By doing your sketches, you can create multiple levels in your digital file using the " " key of the Wacom Sketchpad Pro. Tablet has been tested working and is guaranteed fully functional. Item has wear from previous use including scuffs and blemishes. Includes pen, pen stand and USB cable. Quantity listing with reference photo, you may not receive the actual item pictured. Item is on hand and ready to ship. Like New In Box Wacom Bamboo Pen & Touch Graphics Touch Tablet Model CTH-460. Intuos pen tablet to unleash your creativity. Intuos Comic guidebook "draw a manga with a pen tablet! "Available for download in PDF format. Seven million vertices in your Pixologic ZBrush file?. Create every brush stroke or spline with total precision. But not only will your work look amazing, it will feel amazing too. The new etched glass surface makes it feel like you're working with pen and paper by providing the perfect amount of resistance to the Pro Pen 2's tip. What's included Compatibility: Windows Stand-alone Windows/ Mac when attached. This is Japanese version. Intuos pen tablet to unleash your creativity. Intuos Comic guidebook "draw a manga with a pen tablet! "Available for download in PDF format. If you get it as quickly as possible. Slim and compact Cintiq to provide a creative experience. Manufacturers Part No. Full HD support (1920 × 1080), 1677 million color display. ◆ excellent color performance and resolution, ergonomic design, is a model which can taste the fun to draw directly on the screen with a brush pressure compatible pen. Trending at $843.07eBay determines this price through a machine learned model of the product's sale prices within the last 90 days. Manufacturer: Wacom. Model: Bamboo CTH-460. Local pickup is always an option. By purchasing this product you confirm that it will be used for it’s originally intended purpose. This item is Japan import. Middle East. Readable range:152.0 x 95.0mm. Model Number Size:21 x 16.9 cm. We will look it for you. 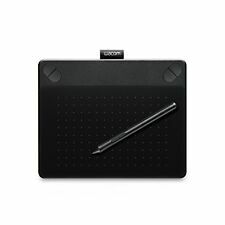 Wacom Pen Tablet Intuos Pro M Size [Old Model] 2014 June Model Pth-651 / K1. Our Products are 100% Authentic. What's Included Intuos Pro pen tablet small. Intuos Soft Case. Wacom Grip Pen. Product Type Pen Tablet. Bought at a storage auction. Untested, sold as is. All included in the picture . This is physically in used condition. See pictures for details. © 2019 Sunnking, Inc. By purchasing an item from us, you confirm that it will be used for its originally intended purpose. Sunnking, Inc. is an R2/RIOS certified electronics recycler. Wacom Bamboo Pen & Touch Tablet CTH-460 Light Wear NO STYLUS PEN. There is moderate wear and tear apparent on this item. Scuffing and scratches are generally present throughout, and can be easily noticed. Lot of 3 WACOM / Bamboo Tablets, Model CTH-460. No pens / stylus, but includes two sets of software / quickstart guide for both PC & Mac'. Manufacturer model number: DTK-1301/K0. ◆ Excellent color performance and resolution, ergonomic design, a model that can enjoy the pleasure to draw directly on the screen with pen with pen pressure. ◆ Propen with pursuing more comfortable ergonomics, corresponding to 2048 levels of pen pressure and inclination sensing, faithfully reproduces writing pressure more than ever. Is available for download in PDF format. Manufacturer's part number CTH-690 / K1. Pen input TEST TITLE. - Readable range: 216.0 × 135.0mm. - Reading resolution: up to 0.01mm. - Reading accuracy: ± 0.5mm. Intuos pen tablet to unleash your creativity. Intuos Comic guidebook "draw a manga with a pen tablet! "Available for download in PDF format. Intuos Comic from the draft of a manga and illustrations as well as color, suitable for a wide range of works of comic tone stick until done. 06.40 35.80 29.30cm. Model number All product manuals are in Japanese. Is available for download in PDF format. Manufacturer's part number CTH-690 / K1. Pen input - Readable range: 216.0 × 135.0mm. - Reading resolution: up to 0.01mm. - Reading accuracy: ± 0.5mm. Illustrations is software that is equipped with all the necessary features to work. Full HD compatible (1920 × 1080), display 17.77 million colors. ※ With function of pen tablet, we do not carry WindowsOS. ◆ It is model which can enjoy pleasure that draws directly on screen with superior color performance and resolution, ergonomics design, pen for pressure pressure. Which Refurbished Wacom is Right for You? 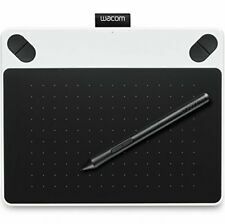 If you're searching for a Wacom tablet, then it's likely you have realized how costly these digital graphics tablets can be. A digital graphics tablet can completely change your work process for the better, and it can help you organize your personal life as well. 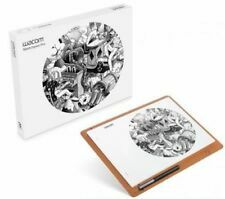 Fortunately, you don't necessarily have to purchase a Wacom tablet brand new; there are plenty of refurbished Wacom options to choose from on eBay. What is a refurbished Wacom tablet? A refurbished tablet is one that has been returned from someone who initially bought the product new. These products are usually put through rigorous testing to ensure their viability and stability before being resold as refurbished. If you're buying from a reliable source, there is nothing to worry about when buying a refurbished Wacom. What is the benefit of buying a refurbished Wacom tablet? By far the biggest benefit of buying a refurbished Wacom is the discount that you receive from buying a used product. This is a great help if you want a newer model that is out of your price range or if you're looking to try one out without wasting a load of money on something you aren't certain you'll like. What are some options for refurbished Wacom tablets? Here's a brief overview of some key features for a variety of common refurbished Wacom tablets. Refurbished Wacom Cintiq 21ux - This tablet has a 21-inch display with high pen pressure sensitivity and tilt recognition. Refurbished Cintiq 13hd - This one has a 13-inch display with high pen pressure sensitivity and tilt recognition. Wacom Cintiq pro 16 - This one allows you to create directly on the 16-inch display. Refurbished Wacom Cintiq Companion - This one features a Windows 8 Pro Multi-touch 13.3-inch display. Refurbished Wacom Companion 2 - This is a powerful stand-alone Windows 8.1 professional creative tablet with a 13.3-inch display. How do you choose the right refurbished Wacom for you? Choosing the right Wacom tablet can feel daunting when there is so much to consider. Here are some important things to keep in mind to make that decision easier. Price - The importance of price depends on your budget. Features - Extra buttons, tilt detection and multi-touch are all examples of the types of features you need to consider whether you want or not. Connectivity - Consider whether you want to be able to connect to your tablet via USB, wirelessly, or both. Content provided for informational purposes only. eBay is not affiliated with or endorsed by Wacom.